France is located in Western Europe and is the country with the largest surface area in the European Union. This vast expanse of land covers an enormous 551,695 square kilometres (not including the five overseas territories) spanning from the Atlantic Ocean in the north and west to the Mediterranean Sea in the south. Metropolitan France is divided into 22 regions that couldn’t be more different. Each region has its distinct character, culture and traditions and some of them even have their own language! Together they form one fascinating multi-faceted country that is steeped in history and impresses its visitors with a tremendous wealth of natural beauty and seduces them with the typical French “savoir vivre” lifestyle. Paris, the capital city of France, lies in the north of the country, in the heart of the Île-de-France region. What began as a small Celtic settlement on the Seine River in the 3rd century BC, had grown into one of the largest and most influential cities in Europe by medieval times. Today more than 11 million people live in Greater Paris, which is nearly 19% of the French population. Countless international companies have settled here, making Paris a global economic hub enjoying best connections to the rest of the world by air, water and land. With so many magnificent sights in one single place - historical buildings, museums, art galleries and shopping centres - it is hardly a surprise that Paris is also one the most popular tourist destinations in the world. What visitors love about this city is also the fact that getting around is quite easy - just jump onto the metro and get off at whichever attraction you want to see, be it the Eiffel Tower, the Louvre or the Notre Dame cathedral! 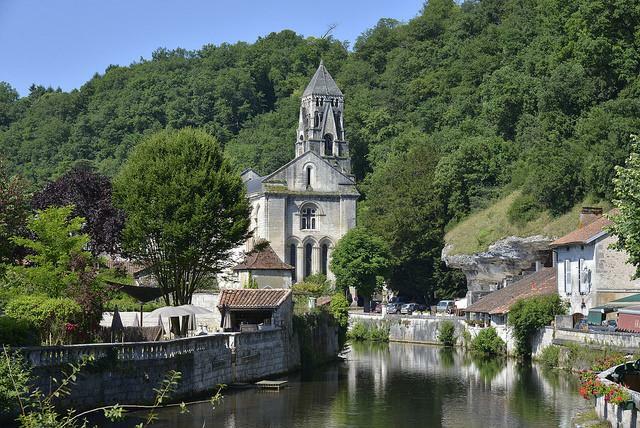 Normandy (Upper and Lower Normandy) and Brittany, located in the north west and far west of France, are both regions that can be easily reached from Paris and they share a common past with the United Kingdom. While Bretons from Wales emigrated to France in the 5th century, the French Normans set out to conquer England in 1066. The arrival of the Allied troops on Normandy’s beautiful beaches marked the end of War World II and today many Parisians come here to spend a relaxed weekend in peaceful seaside resorts and picturesque harbour towns like Honfleur and Le Havre. Agriculture and fishing still play an important role in these predominantly rural areas, whose main sights include the famous abbey of Mont-Saint-Michel, Normandy’s spectacular white chalk cliffs and Brittany’s Pink Granite Coast. Wine production is a major industry in France and the country has enjoyed the reputation of being the world’s leading producer of high-quality wines for centuries. All wine lovers should definitely visit one of France’s main wine growing regions, which can be found distributed all over the country: Pays de la Loire in the west, the Alsace and Burgundy in the east, Rhône-Alpes and Languedoc-Roussillon in the south-east and south. Aquitaine in south-western France must also be included in this list as it is one of the country’s most important viticultural areas. High-quality grapes have been grown in the idyllic Gironde for hundreds of years around the lovely city of Bordeaux, the “world capital of wine”. Azure blue skies, sun-drenched beaches, romantic hidden coves, palms and olive trees – the south of France, which is shared by the Provence-Alpes-Côte d'Azur and Languedoc-Roussillon regions, is certainly one of the country’s most beautiful corners and sought-after holiday destinations, especially with international celebrities who spend their summer holidays in chic seaside resorts like Nice, Cannes or St. Tropez. Marseille, the second biggest city in France, is an ancient port on the French Mediterranean coast. It was founded by the Greeks in 600 BC, thus making it even the country’s oldest city. The hinterland of the French Riviera is dotted with enchanting towns like Arles and Aix-en-Provence, which famous artists like Vincent van Gogh and Paul Cézanne called their homes. They were so impressed with the beauty of the Provence landscape with its blossoming orchards, purple lavender fields and bizarre rock formations, all immersed in gentle light, that they captured it forever in some of their great masterpieces. France is one of the countries in Europe with the highest density of castles and palaces. There are thousands and thousands of different “châteaux”, ranging from fortified medieval castles to majestic Baroque palaces and stately 19thcentury mansions. In order to figure out the exact number, you would have to visit them one by one - which is nearly impossible! Many of these historical monuments are classified as UNESCO World Heritage and they provide us the unique opportunity to discover how the French “noblesse” lived during all ages. In order to make your choice easier, we have put together a small selection of the most significant and impressive castles and palaces awaiting your visit during your next France holiday. 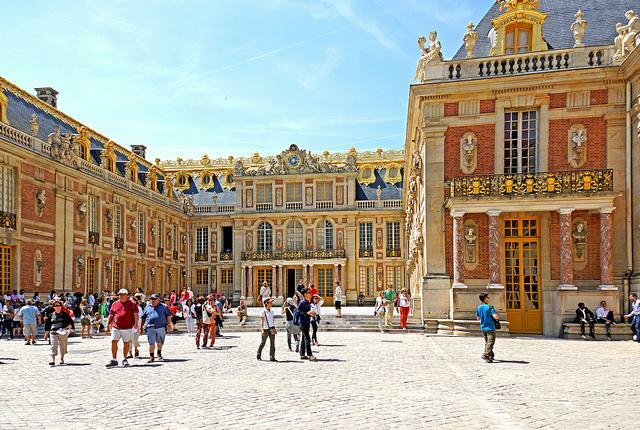 Let’s start with the epitome of French castles – the Palace of Versailles near Paris. In the beginning, it was just the hunting lodge of King Louis XIII but his son, the Sun King Louis XIV, expanded the building to make it fit as a royal residence and his successors, who resided there until they had to leave during the French Revolution, continued to add more details and embellishments to make it ever more beautiful. Today, this prime example of French classical Baroque architecture has more than 2,000 rooms and its gardens cover an area of 93 hectares. Despite Versailles’ great historical importance, Napoleon called another royal castle in the vicinity of Paris “the true home of kings”: the Château de Fontainebleau. From the 12th century onwards, generations of French monarchs lived and welcomed illustrious guests in Fontainebleau. More than any other region in France, the Loire Valley (Centre) is crowded with magnificent castles and palaces from the Renaissance period, and each one is more beautiful than the other. The largest château in this region is the colossal Château de Chambord with its characteristic turrets. It was built by King François I and legend has it that Leonardo da Vinci played a considerable role in its design. The Château de Chenonceau is another absolutely impressive palace dating to the early 16th century. Nicknamed “Château des Dames”, this castle was built and loved by all the ladies of the French aristocracy. Even more remarkable than its beautiful architecture and splendid interiors is its quite unusual position: it was not built by the river but rather across the river, spanning the Cher on five arches and connecting both river banks like a bridge. Brittany is a great place to travel even further back in time and to discover what it was like to live during the Middle Ages in France – the majority of castles in this region date from this era. The Château de Fougères dominates the picturesque town of Fougères and is an example par excellence of French military architecture. It is one of Europe’s biggest fortresses and it was built in the 11th century to protect the Marches of Brittany. Its distinctive features include fortified towers with arrow slits, a moat and a double portcullis. Most tourists visit the Provence to enjoy the beaches and the Mediterranean sun in chic towns like Cannes and Nice. However, in this ancient region there is much more to discover – some truly magnificent castles, for instance! The Château des Baux (12th century), a cultural gem hidden in the mountainous hinterland of Marseille, was built on a steep rocky outcrop from where the lords of Baux enjoyed unrestricted views of the coast and the surroundings and could easily defend their territory. Unfortunately, the castle suffered a lot of destruction during the course of history but a visit is nonetheless worthwhile, as you will see excellent replicas of full-size medieval siege engines. The Château d’If is the legendary fortress from Alexandre Dumas’ novel “The Count of Monte Cristo” and the place where his main character was held captive. Indeed, this 16th century naval fortress, built on a small offshore island in the Bay of Marseille, served as a state prison for centuries and only the most important personalities of French society had the “privilege” of being imprisoned here. While Château d’If was deemed a grim and desolate place for the inmates from these times long past, for modern visitors there could be nothing more exciting than exploring the old dungeons and reliving the ancient tales. France has been a mecca for winter sports enthusiasts from Europe and overseas ever since the first Winter Olympics were held in Chamonix in 1924. Boasting some of the vastest ski areas and longest slopes in the world, France is the perfect place to spend a varied and unforgettable winter holiday in beautiful surroundings. Due to high altitudes, one can expect reliable snowfalls throughout the entire winter season lasting from mid-December until the end of April. French ski resorts are generally equipped with very modern ski lifts and snowmaking facilities and the pistes are perfectly groomed, thus even night skiing is possible. Snowparks and cross-country ski trails belong to the basic features of most ski areas in France and some of them even offer exceptional activities like heliskiing! Off the pistes, hiking, snowshoeing, ice skating, tobogganing and dog sledding are great ways to enjoy the snow. Accommodation options are extremely diverse and range from traditional mountain villages with chalets to large purpose-built ski resorts. All French ski areas and resorts are located in the mountainous East and South of the country and you can easily reach them by car, train or plane and regular shuttle services are also offered from many major cities. Whether you are a snowboarder, alpine or nordic skier – the French Alps are a true winter sports paradise! With 600 kilometres of slopes and 130 kilometres of cross-country ski tracks, Les Trois Vallées (Northern Alps) is the world’s largest interconnected ski region and combines eight ski resorts including three of the most popular ski resorts in France: Courchevel, Méribel and Val Thorens. While the predominantly easy to moderate slopes at Courchevel and Méribel are perfect for beginners and families, you rather need be an advanced skier or snowboarder in order to race down the challenging mogul fields at the Cime de Caron in Val Thorens, the highest ski resort in Europe (2,300 metres). With sheer endless free ride possibilities and a snowpark, it is also the spot for snowboarders. 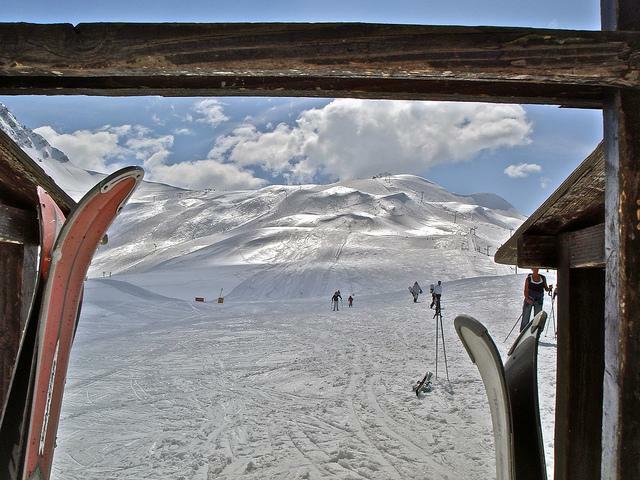 Apres-ski and nightlife are varied and vibrant in all the resorts and villages of the Three Valleys ski area. Moreover, you will also find a wide choice of ski-in, ski-out accommodations and plenty of non-ski action. Serre Chevalier is one of the major ski areas in the Southern French Alps. Similar to Les Trois Vallées, it consists of several interconnected idyllic mountain villages, forming one huge ski area with 250 kilometres of skiable slopes in all levels of difficulty and altitudes varying between 1,200 and 2,800 metres. Some of the pistes lead through the beautiful Parc National des Ecrins and there is even an Olympic black run. A vast ungroomed terrain makes this ski area particularly popular among snowboarders and free riders. Snow conditions are usually great throughout the season, due to north-facing mountain slopes. Serre Chevalier is close to the beautiful historic town of Briançon and just a few hours drive away from Lyon and Nice. The Pyrenees, a mountain range at the French-Spanish border, is a great alternative to the French Alps and a very sought-after winter holiday destination as it enjoys best travel connections to Biarritz or Toulouse. With several over 3,000 metre high peaks, this region offers excellent winter sport conditions in beautiful nature and plenty of sunshine. You can choose from more than 30 different ski areas, ranging from super modern ski resorts to quaint mountain villages and after a long day out in the snow, relax in one of the countless spas! The Grand Tourmalet at the foot of the Pic du Midi is the largest ski region in the Pyrenees and it combines the two ski resorts Barèges and La Mongie. The 69 downhill runs amount to 100 kilometres and the highest pistes are located at an altitude of 2,500 metres. Furthermore, the Grand Tourmalet offers 15 kilometres of cross-country trails, a first-class snow park as well as a luge piste. Besides the French Alps and the Pyrenees, the Massif Central in south-western France with its unique volcanic landscapes, the Vosges in eastern France with its vast forests and multitude of lakes and the Jura at the border of Switzerland also make fantastic ski holiday destinations in France. France is a highly diverse country, both culturally and geographically and this is particularly reflected by the French cuisine, which is world famous for its high quality and great variety of dishes. Cooking ingredients are carefully chosen for freshness and quality, skilfully blended and enjoyed as a lengthy and relaxed meal consisting of at least three courses. Each region in France has its very own recipes and cooking traditions, and good foods and fine eating are an integral part of the French lifestyle. From savoury to sweet, we have picked some of the most delicious dishes and mouth-watering specialities the French cuisine has to offer. France is a true cockaigne for gourmets who cherish hearty meat dishes and charcuterie products. Whether you prefer beef, pork, poultry or game – in France, all your cravings will be satisfied. If you visit Burgundy in north-eastern France, you should try bœuf bourguignon and coq au vin - two delicious specialities from this region. While the former is a beef stew that is traditionally prepared with the tender meat of the Charolais cattle, a Bresse chicken is used in the latter. In both dishes, plenty of Burgundy red wine is added to create a tasty sauce, flavoured with garlic and herbs. Another famous dish from this region is escargots de Bourgogne – the Burgundy Snails. They might not be too popular with tourists, but cooked in butter and garlic, they make a wonderful alternative to conventional meats and so do the famous cuisses de grenouille (frog legs), a specialty from Paris. Sausages, ham and other cured products complement the French meat menu. Foie gras is a delicacy par excellence. 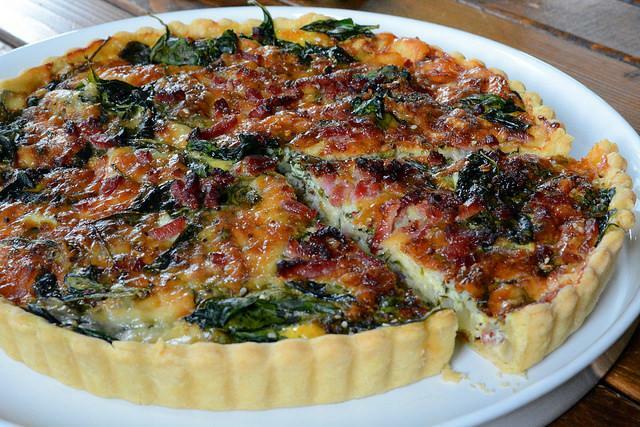 It originates from Aquitaine, a region in the South-West of France and you can order it in all good restaurants as a starter or side dish anywhere from Bordeaux to Biarritz. Foie gras means "fat liver" and it is made from the liver of geese and ducks. The animals are deliberately fattened in order to give foie gras its characteristic taste that connoisseurs describe as delicate and buttery. Fish dishes also enjoy great popularity in the French gastronomy and seafood lovers should visit either the north or the south of France. Brittany and the Provence are the best places to enjoy some of France’s richest maritime flavours as fishing still plays an important role in these coastal regions. Besides fish platters, Brittany is especially famous for shellfish dishes such as moules marinières. This traditional Breton recipe is popular throughout France and it is made with fresh mussels fried in butter with garlic and shallots, seasoned with white wine and parsley. They are served with homemade fries and enjoyed best with a glass of Muscadet wine from the neighbouring Pays de la Loire region or Pinot blanc from Alsace. The bouillabaisse is another classic French fish dish and originated in Marseille. This tasty Mediterranean fish soup contains at least four different kinds of fresh fish, shellfish and vegetables, spiced with aromatic Provençal herbs. The secret of this soup is that the ingredients are not added altogether at once, but one by one, allowing the individual flavours to unfold. Bouillabaisse is traditionally served with rouille, a hot garlic mayonnaise and croutons. No French meal is complete without a dessert. This can be a sweet or fruit which is often eaten for afters. For anyone with a sweet tooth, we suggest the French classic: crêpes. The pancakes from Brittany can be filled with chocolate or fruits and the savoury version, filled with mushrooms, ham and cheese, is even a whole main course by itself. Crème brûlée, profiteroles, macaroons and mousse au chocolate are also well known French desserts. If you love cherries, you should definitely try clafouti, a traditional baked batter with wild cherries from the Limousin region or one of the many different kinds of fruit or nut tarts that are popular all over the country. And should you still have some space after the dessert, round your meal off with a slice of delicious French cheese (which can also be served before the dessert) such as Brie, Camembert, Roquefort, Reblochon, Munster, Gruyère, Beaufort…! France is a wonderful destination to spend unforgettable and unique beach holidays. Whether swimming, snorkelling, diving, surfing, sailing or just sunbathing - several thousand kilometres of coastline provide optimal prerequisites for any activity. From romantic hidden bays to endless sandy beaches and steep rugged cliffs, anyone will find his dream beach in France. Moreover, the "Pavillon Bleu", the Blue Flag, flies on countless beaches all over the country, guaranteeing you excellent water quality, safety and services! There could be no better place to spend your French bathing holiday than on southern France’s sun-drenched shores, where the turquoise blue and pleasantly warm Mediterranean Sea invites you to swim, snorkel and dive. Whether lively sandy beaches or secluded pebbly bays - the French Riviera has it all! Sandy beaches like Plage de la Croisette in Cannes or Pampelonne Beach in St Tropez are legendary but tend to be also very crowded. To anyone looking for a sandy yet quieter alternative, the beautiful golden Plage de l'Aiguille in Theoule-sur-Mer is highly recommended and so is Paloma Beach, located on the Saint-Jean-Cap-Ferrat peninsula near Nice. This idyllic beach is certainly one of the most beautiful coves of the Côte d'Azur and it is sheltered from wind by high, pine-covered cliffs and its crystal clear and calm waters make it popular with snorkelers and divers. You will find many more of these little beach paradises all along the Provençal coast but the further west you travel, the sandier and longer the beaches get. One of the nicest beaches in the Languedoc-Roussillon region is Plage de l’Espiguette. This magnificent wild beach with huge barchan dunes is 18 kilometres long and 700 metres wide. It has been regularly awarded the Blue Flag and even offers a naturist area. The French Atlantic coast stretches from the Spanish border in the very south up to Brittany in the far north. The south of France’s west coast is characterised by breath-taking wide, flat sandy beaches that expand for kilometres and that are often backed by grassy dunes or pine forests. With a length of more than 200 kilometres, the Côte d’Argent is the longest continuous stretch of fine sand in Europe and due to high waves and strong winds also one of the continent’s top surfing locations. Especially the beaches around Biarritz are a mecca for the world's best surfers. Arcachon is a chic seaside resort right in the heart of France’s Silver Coast and not far from the spectacular Dune of Pilat, Europe’s highest sand dune. The coastline gradually changes shape towards the north and approaching Brittany it becomes increasingly rocky and rugged, forming picturesque inlets and bays with sandy beaches that are great not only for swimming or sunbathing but also to enjoy a hike along green clifftops. The absolute highlight of the northern Breton coast is the Pink Granite Coast with its unique pink rock formations and charming towns like St Malo or sea side resorts such as the pretty Victorian Dinard ̶— all great places to stay during your French beach holidays. Besides the Atlantic and the Mediterranean, the French North Sea also offers manifold opportunities for varied beach and seaside holidays. France’s northern coastline stretches from the border of Belgium up to Normandy and it consists of alternating wide sandy shores and high cliffs with sandy or pebbly inlets. One of its characteristic landmarks is the spectacular white chalk cliffs of the Côte d'Albâtre in Normandy. These cliffs rise up to 120 metres and are most striking at Éretrat, where amazing rock formations including arches and needles and magnificent views of the English Chanel will take your breath away. A great way of exploring the French Alabaster Coast is on foot by following the GR 21 long-distance hiking trail from Le Havre to Le Tréport. 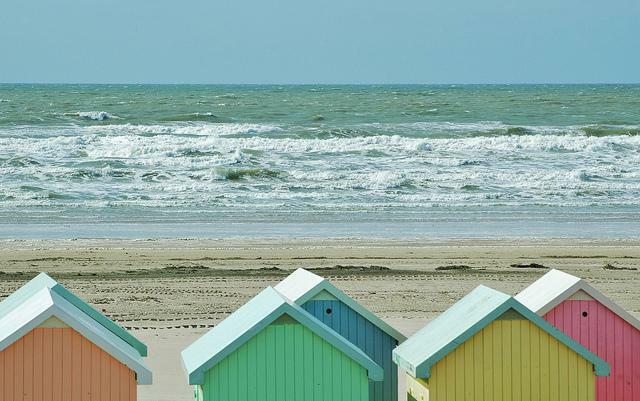 In contrast to the steep Alabaster Coast, the Opal Coast between Berck-Sur-Mer and Calais impresses with more than 100 kilometres of flat sandy coastline with pristine and uncrowded beaches. Although the weather might not always be optimal for sunbathing, there are plenty of other outdoor activities one can enjoy at the lovely Côte d'Opale – a true gem on the French North Sea coast!